One question that popped into my head when driving the 1.7L car was, “how much power would be good for this car?” The 1.7 is rated for 80hp which is probably about 65 at the wheels. It doesn’t sound like much, but I suppose the VW Beetle at the time made do with 45hp (at the crank!). The car only weighs 2,000lbs or so. But 80 feels a little bit light. There is no way it is going to be a rocket ship anytime soon as the shakes, rattles, and general tightness of the car get ever more worrisome as the speeds climb up over 50mph on bumpy roads. It’s not bad, mind you, but it’s no Lexus. That’s part of the charm and part of what makes it fun to drive. You really have to drive this car and focus on what you are doing. Shifts need to be premeditated or everyone will suffer. The car does handle well, though, largely because it weighs so little and is so simple. But back to power. Given the two types – torque and horsepower – its clear that torque is what we would want here. The gearing isn’t too short but first gear does go by fast. Fifth gear is pretty tall. Torque would get us around town easily and keep some passing oomph on the motorway. Our 1.7L “W” motor has a peak of almost 100ft-lbs at 3,000rpm. Horsepower peak is about 78hp at 4800rpm. 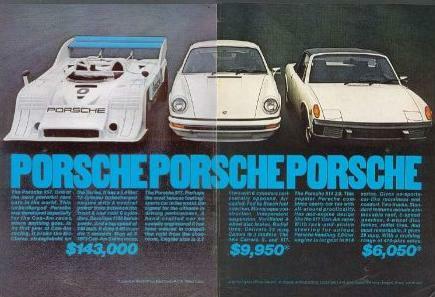 Even the 914-6 wasn’t a super-power motor with only 115ft-lbs at 4,000rpm and 106hp at 5,600rpm (or so). As I looked around, I found Raby’s Aircooled Technology (RAT). They offer a bored 2.0L motor (2270cc) that has 155hp and 160ft-lbs between 2,500 and 6,000rpm. That’s the base offering and the one they recommend for daily use. They also have a 170hp SS motor and a 210hp “Annihilator” that they acknowledge are a bit more wild and longevity suffers. But 155hp and, more importantly, 160ft-lbs wouldn’t be a bad way to go in a 2,000lb car. That’s 13lbs/hp and 12.5lbs/ft-lb which is comparable to a 2014 Ford Fiesta ST and just shy of the 2014 Camaro V6. Here’s a good list of how 2014 cars stack up on power to weight. Some forums suggest a 10:1 ratio is pretty much decent. 9:1 is quick. The 914 could be quicker than a 2015 VW GTI (14.1lbs/hp) and a 2014 Miata (14.8lbs/hp). But it wouldn’t be a 2015 Carrera S either (7.7lbs/hp). I do have a slight aversion to putting a motor into a car that costs more than the car itself. The 2270 SR rings up at $15,000 – which is probably quite a fair price for an amazing motor. But it surely would only make our car a bit less valuable overall in the long run. The key takeaways for me are that the 914 motors were made for colder climates and therefore may run a bit hot (maybe the thermostat is a place to help that?) and that timing and cams along with some better breathing may help matters a bit. 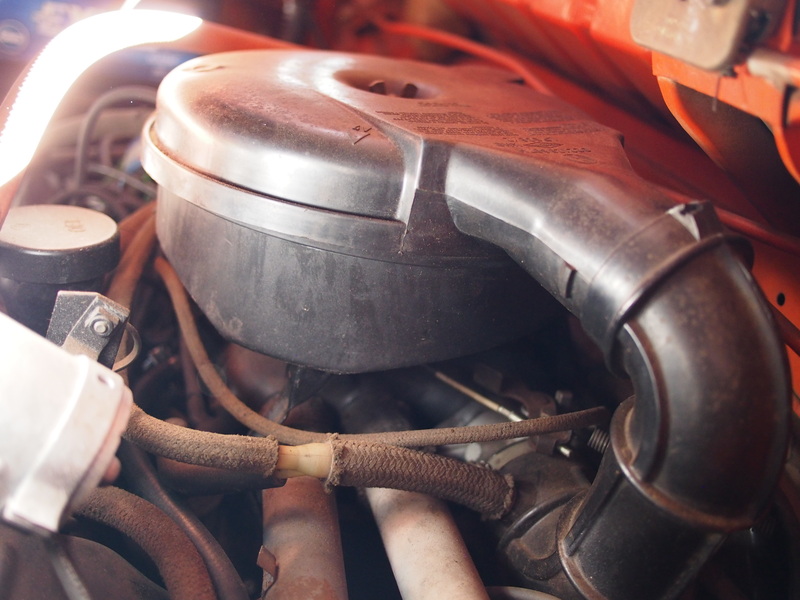 With the stock fuel-injection, there may be a limit to what can be done. But spending hundreds is way better than thousands on a car like this. And some folks might think that the 1.8L motor is a better investment. They argue that the 1.8 is far more common motor (shared with lots of VWs) and that it’s not the one-off Porsche unicorn with hard-to-find, expensive parts like the 2.0L motor. Darryl explains that the 2.0 has barely more power than the 1.8 and only above 5,000rpm, which isn’t useful around town. He may have a good point. Looking at the output of the 1.8L engine in the chart above wouldn’t give me that initial impression. To match the power-to-weight ration of a new Carrera S (7.7lbs/hp), this little car would suggest that 260hp would be about the upper limit for a 2,000lb car. In reality, I don’t think the structure of the car could take that much power without basically rebuilding the car. There do seem to be quite a few structural enhancement bits for sale along with hotter motors. With new materials and better construction technique, Porsche makes 405hp look easy. But driving something from 1973 reminds me that we’ve come a long way since then. I’ll have to keep looking around and learning to better understand the options and trade offs. Auto Atlanta looks like another great resource.